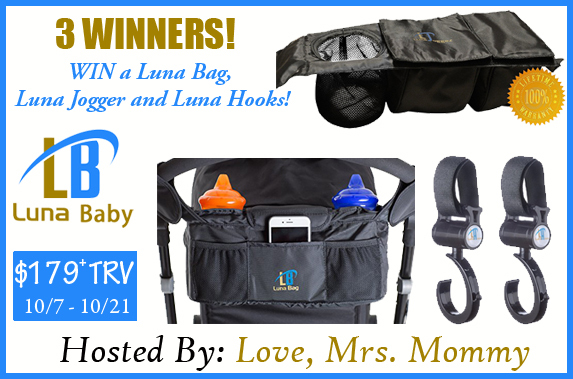 Love, Mrs. Mommy: On The Go with Baby Prize Pack by Luna Baby! 3 Winners! $179 TRV! On The Go with Baby Prize Pack by Luna Baby! 3 Winners! $179 TRV! The Luna Bag and Jogger will store all your essentials while out and about with your little one. They can hold items such as your cell phone, keys, drink, and even spare diapers and wipes! The Luna Hook is perfect for attaching a purse, diaper bag, shopping bags and more to your stroller! Each hook can hold up to 15lbs! A Luna Bag, Luna Jogger and Luna Hooks! 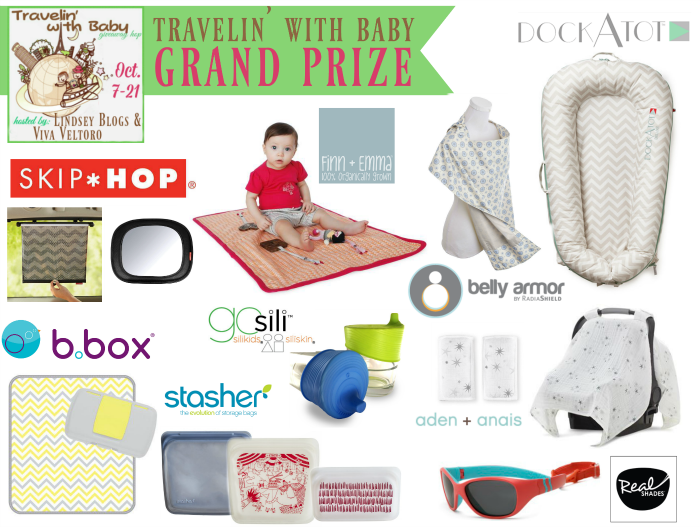 Welcome to the Travelin’ with Baby Giveaway Hop Event, hosted by Lindsey Blogs and Viva Veltoro. We all know that traveling with babies can sometimes be hard, but we're here to help! We’ve got a fabulous group of bloggers that have come together to offer giveaways on the best products that make traveling with baby a success – so be sure to hop around to them all below! While you're hopping, don't miss that amazing Grand Prize Giveaway from the hosts too! So Easy Being Green, Viva Veltoro, and the Travelin' with Baby all participating bloggers are not responsible for sponsors who do not fulfill prize obligations.